You can listen to the episode on the Shaping Fire website by clicking the link below or you can enjoy it on iTunes or Stitcher. *If your browser isn't displaying the embedded podcast player, please check your privacy settings and allow blubrry.com, player.blubrry.com and assets.blubrry.com for full listening experience. 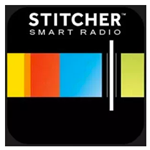 If you'd prefer to not adjust your privacy settings, you can find the show on iTunes, Google Play and Stitcher. Like the show? Leave a Review. Don't Miss an Episode. Subscribe in iTunes, Google Play or Stitcher.